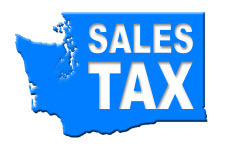 As lawmakers and tax agencies across the country look for ways to force out-of-state sellers to collect sales tax, they appear to be overlooking a related problem that is angering merchants - cases of sellers collecting sales tax but not remitting it to the states. In other words, some sellers appear to be overcharging buyers and keeping money that doesn't belong to them - and getting a discount on eBay fees to boot! "The prices they are listing their items at should be losing money but they are keeping sales tax as profit. In a nutshell there is a lot of sales tax fraud happening across eBay. Many sellers have begun realizing that there is extra money to be made by charging sales tax in states they are not registered in. "Some sellers like myself are legally registered in multiple states because of nexus but more and more foreign (and even domestic) sellers are using it as a way to pad profits and drive ethical sellers out of business." The seller, who wished to remain anonymous, provided us with a list of 9 sellers, 8 of them from Asia (mostly from Hong Kong), and one from Egypt. Most of the sellers on the list charge rates ranging between 11 and 13 percent for all states - that's twice the rate Massachusetts charges, not to mention some states like New Hampshire charge no state sales tax at all. Only one seller on the list charged what appears to be accurate rates, but one seller charged a straight 12% for every single state! What the EcommerceBytes reader was upset about the most, he said: "eBay is knowingly turning a blind eye to illegal sales tax being charged at overpriced rates by foreign sellers." Many international sellers already have a legitimate advantage over domestic sellers who collect sales tax - according to TaxJar, international sellers are not required to collect or remit sales tax unless they have nexus. We took a look at the completed sales of the Egyptian seller on the list who charges 12% across the board. He (or she) sold 189 items in the last month ranging from $4.82 (58 cents in sales tax) to $146.63 ($17.60 in sales tax). Such sellers get a break on eBay fees, too, since eBay charges a commission (final value fee) on the selling price not including sales tax. The reader, who called himself a "medium-sized" seller on eBay, said because he uses Amazon FBA to store and fulfill his items, he has registered for each state where he is required to collect sales tax and remits the taxes collected monthly or quarterly, a process he called challenging. He told us that it's impossible to compete with sellers who have an 8-12% advantage over him. "eBay doesn't do anything about it when you call and even if by chance someone is removed then they just make a new account and keep going. Until they put a procedure in place then it will keep happening over and over again until the law steps in." "Due to the volume of varying tax laws in different locations this is not something we are qualified to take action on. We advise our sellers to work with a tax specialist to determine the appropriate amount to charge and if you run into anything you feel is excessively inflated you are welcome to report this to your local tax authorities. They will be able to review and take appropriate action." On page 2 of the thread, an eBay user pasted a screenshot that showed an item where the seller was charging 25% sales tax for every state, including New Hampshire, which has no state sales tax. As they say, a picture says a thousand words - take a look. Their website states they are located only in a particular state that is not mine. Every location is also listed separately. The item was also sold and shipped by them. In this case I was illegally charged sales tax or I wouldn't have stated as much. I am well aware of the need to charge sales tax if they have a presence in my state.......but they don't. A seller on Ebay doesn't have a way to say they are located in multiple states or have warehouses in multiple states unless they do so in their description. The Item Location spot that appears just below the shipping charge on the listing is driven by whichever country to select from Ebay' s list. If you select the USA, then it wants your zip code which will then show your city and state on the listing. There was a time when we could show a more general area in which the item was located like Midwest, Pacific Northwest, SE US, etc. But the Ebay rule is that listings are suppose to have the correct location on them. Which for some sellers is difficult if they have multiple warehouses. I am not sure if Ebay ever came up with a viable solution for those sellers. I don't see one on the listing form. Now what everyone can see regarding taxes under the SHIPPING and PAYMENT TAB on Ebay listings. About center page is a section called Estimated Sales Tax. If a seller has their listing set up to charge sales tax for any given state or states, it will show up there along with the percentage to be charged. If ebafia won't do anything to correct this abuse, then message the seller demanding to see a photo their state sales tax certificate or at least their number. If they refuse, then report them to your state revenue collecting agency. I don't expect ebafia will do anything voluntarily to solve this problem because it involves investment in manpower at the very least, and we all know how averse ebafia is to spending any of their offshore billions. Sadly, the swamps we are trying to drain apparently are taking this from the opposite angle: Tax or duty MAY be laid on articles IMPORTED into any state. This is why it is such a huge concern for small businesses. If a nationwide sales tax law is enacted, State A retailers can be forced to serve as tax agents for State B. State A does not LAY (levy or impose) any taxes on purchases made by State B residents, BUT State A retailers are pawns, who can be made to COLLECT and REMIT the taxes, sending payment away to State B (or others). Using Virginia and Colorado as examples, here is my take on what is happening: Indeed, Virginia retailers are prohibited from collecting tax on purchases shipped (EXPORTED) to Colorado buyers. BUT the Constitution appears to be silent on taxing items IMPORTED into a state. So, while the state of Virginia is constitutionally prohibited from LAYING taxes (keeping the money in Virginia) on purchases its residents ship out of state, Colorado may be free to demand that Virginia retailers collect sales taxes on its behalf and remit the funds to the COLORADO treasury. Such slippery little devils, our duly elected represented officials, interpreting the Constitution ... but how could the Founding Fathers ever have anticipated these modern times. Please realize that "Virginia" and "Colorado" I picked out of the air and they are NOT real life examples... the only reason I picked a real name is that it sounded better than "A" or "B." ebay is facilliting tax fraud, thus there should be prison sentences for ebay ceos and staff. Its easy for ebay to determine when a tax rate is a lot higher than it needs to be, and its THEIR responsibility to turn that seller into the appropriate law enforcement. By turning a blind eye to known fraud, ebay is liable. I have never had to tell Ebay in what state or states I am set up in as a business. It just isn't a question they currently ask. So as of this moment, Ebay does not have my business license number or numbers. Without that Ebay can not "easily" for Ebay to tell what rate may or may not be appropriate for any given seller under the current account set up structure Ebay has. However I agree that with some adjustments to the information Ebay should require for setting up a selling account on Ebay, they could do a much better job policing this. If Ebay would require the business license number for each state a seller is claiming to need to charge sales tax for, IMHO this would help a great deal. It may not stop it completely, but it certainly would be movement in the right direction. That's a good point. Ebay doesn't really have anything to do with collecting payments. It'd have to be a PayPal system that cooperates with Ebay's checkout (as it'll need to know ahead of time how much tax to charge). Either way - the mapping is relatively simple (you take 43k USA zip codes and map it rules for each one). For states that have uniform taxes (AZ fluctuates, depending on the city you're in), it'd be really fast. Ebay and PayPal could have sales tax mapped 100% automatically if they wanted to. They could ask you 10 questions when setting up a selling account, and be left with all of your data on file. This system would take an hour or two to brainstorm. A meeting or two with lawyers. The mapping would take a week for a single employee to finish. And maybe another month for a few programmers to implement. So I'd expect Ebay to get around to automating this by 2025. They'll fix the bugs by 2027. Force people to work through pulling reports through spreadsheets, instead of displaying simple #'s in a widget. And then finally make it easy and transparent by the time the government tells them everyone needs to be doing it and threatens a crackdown. I'd like to see it done. If non-business sellers don't like the idea, there's always OfferUp and Craigslist to accept cash locally. Would be nice if a simple solution were had. If the states would allow a small percentage ( for the effortless collection on their part ) to be put into a infrastructure fund for the internet, we might have some hope of net neutrality long term. The money to pay for infrastructure improvements has to come from somewhere. Collecting for the states on sales would bring in collectively 20 billion plus.